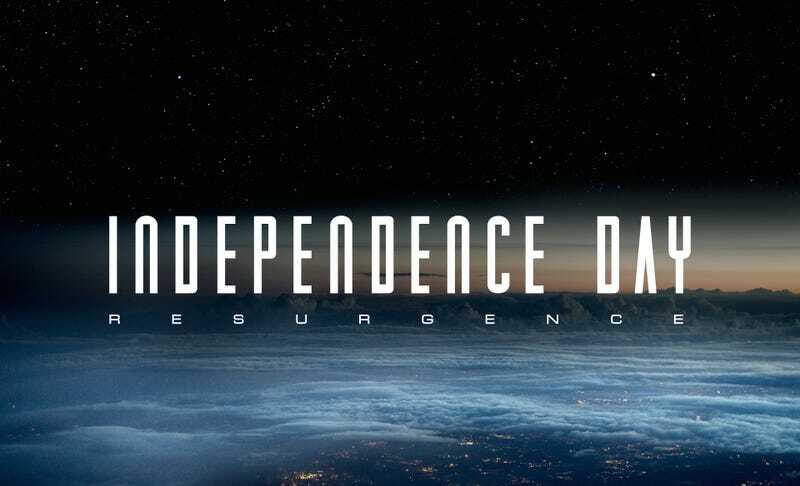 Even though we’re still a year away from the Independence Day sequel, the cast and crew livestreamed a question and answer session on the set. Mostly, they told us what little they could about their characters and Jeff Goldblum talked very quickly. Director Roland Emmerich said that the events of the fictional 1996 has created a “post-world-war” generation who are united against a common threat. [She’s] Entirely different [from Bill Pullman’s President Whitmore]. It’s a totally different political landscape. She’s tougher, more decisive, not afraid to use force, she’s more aggressive. She’s a very different animal because it’s a very different time. We’ve been preparing for twenty years for the inevitability of an invasion. We don’t know by whom or when. So there’s a very different climate in terms of the tenor of the movie. Especially for the president. We do know that Patricia Whitmore (played in Resurgence by Maika Monrow, played in the first film by Mae Whitman) is working for the new president in some capacity. They refused to give away exactly what job the one-time first daughter has — being told by Emmerich “not to give it away” — but we did find out that she, like her father, will be a fighter pilot. Other bits and bobs we learned was that Jasmine (Vivica A. Fox) is no longer a stripper and is working as a hospital administrator and that her son Dylan (played by Jessie Usher in Resurgence, replacing Ross Bagley) has grown up being the “son of the savior” — Will Smith, one of the few non-returning cast members. He eventually joined the military and ended up in the best of the best of the best of the fighter pilots. And he made a bad mistake, a bad decision, and put someone’s life at risk, and got the great job of driving this Moon Tug, which is basically a forklift on the Moon. Where he gets to move around different pieces on the Moon. Which is not really an exciting job for a fighter pilot like himself. He’s a pretty energetic guy, he likes to do exciting things. That’s not exciting. The only thing I cared about was finding out how Brent Spiner’s character survived getting attacked by one of the aliens, but it looks like that’s a mystery that I’ll need to see the movie to find out about. We did find out that he’s got an even more hair this time which seems pretty much impossible. See the whole thing yourself here.